India’s leading four wheeler manufacturer, Mahindra & Mahindra is now looking at expanding its existing product portfolio by introducing different variants to its line-up. 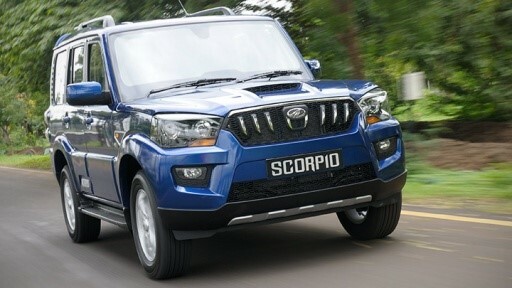 In order to cater to new set of customers, Mahindra will be now launching the petrol version of Scorpio in India. The new Scorpio is going to be equipped with petrol engine with 2.2-litre capacity and is very likely to get 4×4 option. Interestingly, Mahindra is already producing the petrol version of Mahindra Scorpio, however the company is exporting the car to different other global markets like Africa and Middle East. Dr. Pawan Goenka of Mahindra & Mahindra has now pointed out that the company will be launching the petrol version of the Scorpio in India anytime soon. The new 2.2-litre turbo petrol engine is capable of churning out 156bhp of peak power at 4,500rpm delivering a peak torque which is rated at 280Nm. The other engine on offer is a 2.0-litre petrol for the Mahindra XUV500. The company is already exporting the 2.0 litre petrol engine to other markets and it will be launched here soon. There is an insight, most of the Indian car buyers prefers to buy a petrol engine for an SUV of this particular size and hence they haven’t done that well. Mahindra is also ramping up the production of the Scorpio and XUV500 petrol so these can be an potential alternative if diesel as fuel will have excess duty or stopped for new cars. In the other news, the recent supreme court decision on banning the diesel cars with engine capacity of over 2000cc is going to affect the company. Most of the Mahindra products are equipped with diesel engines that are in excess of 2000cc, and it will be one of the biggest suffering brand with this ban. Currently, there are inly 2 offerings which are under 2000cc – Mahindra Verito and the TUV300 SUV, which are under 2.0-litre. The KUV100 is going to be another new product which is going to be added to its portfolio.